A lot of attention is given to the role of too much sodium in the diet, but there are low sodium symptoms to be aware of as well. Sodium is one of the three electrolytes in the body, and it is essential that enough sodium be present to balance electrolytes. In healthy individuals, the USRDA for sodium is between 1200 and 2400 mg; however, in sodium sensitive individuals, the recommendations may be lower. In most cases, eating a variety of healthy foods containing naturally occurring sodium is adequate to prevent low sodium symptoms; however, occasionally the body has higher sodium requirements - such as when electrolytes are lost through excess sweating. In simple cases where a cause such as excessive sweating, diuretic use, or excess water intake are obviously the culprit, the diagnosis of low sodium is a relatively easy one to make. In cases where there is no obvious culprit, low sodium can be diagnosed through a simple blood test. 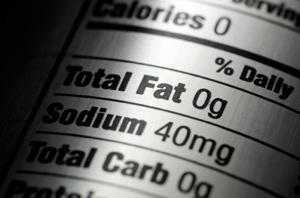 Low sodium is defined as a blood sodium level of lower than 136 mEq/L. If you are experiencing the symptoms of low sodium with no known cause or onset, it is essential that you visit your doctor for proper diagnosis and treatment. The treatment of low sodium is dependent largely upon the seriousness/acuteness of the hyponatremia, as well as the cause of the condition. In cases of mild hyponatremia, replacement of electrolytes through consumption of an electrolyte solution (like Gatorade) or taking a salt tablet will suffice to replace lost sodium. As sodium depletion becomes more severe, however, it can become a life-threatening emergency. In these cases, emergency treatment is essential, and usually consists of IV infusion of a 5% sodium chloride solution. Further treatment is dependent upon whether or not there are underlying causes of the low sodium as outlined above. In cases of too much fluid consumption, your physician may recommend something as simple as decreased fluid intake. In the cases of simple low sodium, the most common recommendations are decreased water consumption and increased salt consumption. If it is a hot day and you have been drinking a lot of water and sweating a great deal, then taking in some salt water or Gatorade may be all you need to do if you are experiencing mild symptoms. If, however, you are experiencing more severe symptoms or can't pinpoint a cause of hyponatremia, then it is best to seek medical attention from a qualified health care professional as soon as you are able to do so. Seek regular blood tests from your health care provider. Monitor your blood pressure for extremely low blood pressure. Be aware of the symptoms of low sodium and seek attention of you experience them.